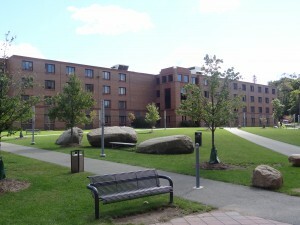 A short, scenic walk from all classes and dining halls, Ramapo College residences are situated along the campus perimeter where beautiful walking trails and woods surround the 300-acre campus. 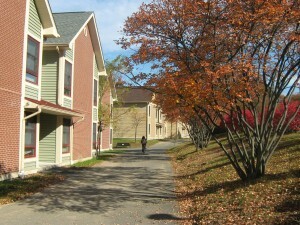 The College has taken great care in the design and placement of the residences: many have beautiful views of the Ramapo Mountains. 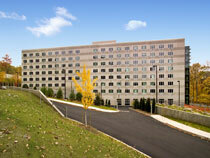 Students can select from a range of comfortable and convenient housing at Ramapo. 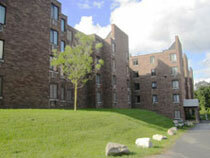 There are traditional suite arrangements, garden-style apartments, and a townhouse complex. 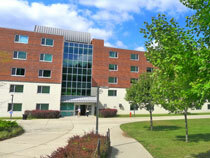 Over 90% of first-year students choose to live on campus at Ramapo. 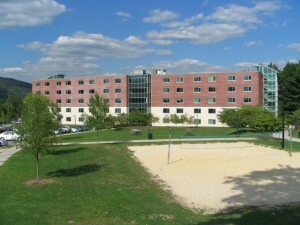 This results in numerous opportunities for members of the entering class to get to know each other, to form study groups, and to find the support needed to make a successful transition to college life. Come join us! 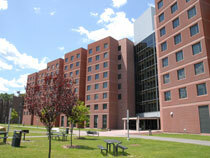 Professional staff and/or graduate Residence Directors live in all halls. 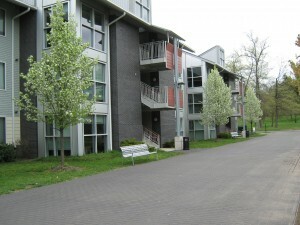 The College’s security force is on duty around the clock, 24/7. Campus Health Services is open during business hours and the College ambulance service, staffed by EMTs, responds to campus emergencies 24 hours a day.